If you’re here you probably know by now that reading to your child and encouraging an early love of reading can set up them up for success later in life. Reading can help kids build crucial critical thinking skills, become more active and successful in social environments, and help them develop an early and more advanced understanding of language. 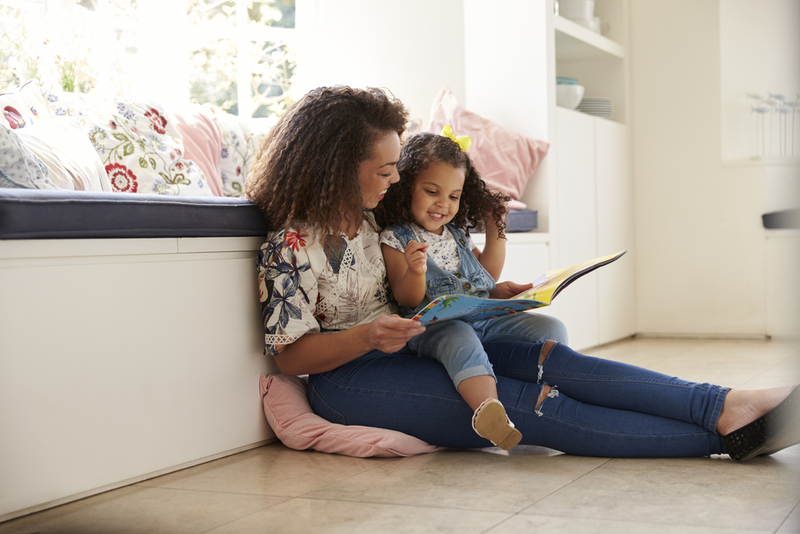 Reading to your child is nearly as important as just speaking to your child and engaging in daily interaction — it helps them begin to learn the sounds and shapes of letters and words, as well as get used to more complex aspects of language, such as sentence structure and vocabulary. And once your child is old enough to read, they can begin to develop their own language skills alongside you. Here are 5 tricks to help your kids learn language through reading. 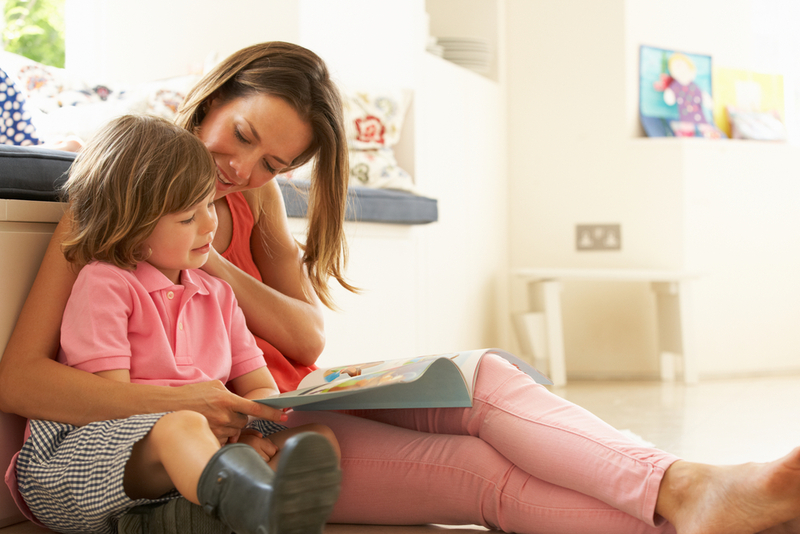 Reading aloud to your child is the first crucial step in helping them develop. By regularly sharing stories with them, you will help them build their own language skills — from learning to recognize words and letters to how to sound out language own their own. When children listen to you read, they reinforce the sounds that are the basic building blocks of language. It will also help them learn more vocabulary, critical thinking skills, and essential communication skills. Once your child is old enough to begin to read themselves, have them read books aloud to you. It will help them with the more challenging aspects of language development. Reading aloud is a great way to learn to sound out words and recognize new vocabulary you’ve never encountered before. It also helps build crucial communication skills by allowing your child to develop speech patterns and recognize sentence structure as they work to process spelling, punctuation, phonetics, and more. If your child is too young to read a book aloud to you, you can still help them develop their language skills by encouraging pretend reading, when a child pages through a book without actually reading it. It’s a sign of pre-literacy and shows that they’re beginning to grasp modes of language and reading/writing. Once they have a bit of a grasp on language, have them describe the pictures in a book to you. By describing the story through what they see, they’re learning to think critically about the world they encounter and translate it into words, language, and a comprehensible story format. They will be better poised to sound out words and develop reading skills if they’re already shaping language skills through identifying storytelling via images. An essential part of reading to your child is not only reading to them, but discussing the storytelling with them after. Ask them to recount the story to you or to discuss specific scenarios. Probe their understanding of what they read, and help them understand cause and effect, logical reasoning, and critical thinking through discussing the events of the books you read. Even if it’s a simple picture book, asking your child to explain relationships between characters or why the protagonist makes a certain choice or what happens when they make that choice will help them develop key language skills. It will also form the basis for communication and thinking patterns that are essential in all modes of formal education. Lastly, when you’re reading to your child, explain to them or have them tell you how a story and its circumstances relates to their own lives. For one, they can find a familiarity of experience in books that will help ease their mind if they’re feeling anxious or alone in certain circumstances. It will also help teach them empathy, as they learn to draw parallels between their lives and the stories of others. Lastly, it will help them build key emotional language skills — if they must relate to and describe the emotional circumstances of fictional characters, then they will learn how to express their own emotions and feelings using words and language as well. It helps them learn healthy habits about expressing themselves from a young age. And if you really want to help them relate to the story, consider buying a personalized book that features them as the main character! Reading is an essential part of developing your child’s language skills, so use these 5 tips to help them thrive.